In lieu of any photographs of the village of Lovewell or White Rock City, I’ve added a page of pictures from Formoso, Kansas, to this site, to lend an idea of how those now-vanished towns along White Rock Creek would have appeared in their prime. 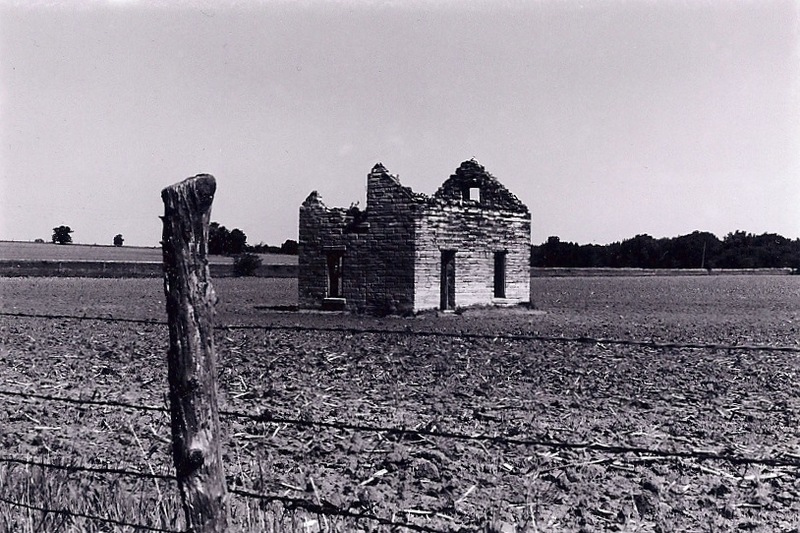 The photograph at the bottom of this page is a lonely reminder of Formoso’s predecessor, Omio, now only an abandoned stone farmhouse in a field two miles south of the spot where Formoso stands today. Separated by about twelve miles, White Rock and Omio sprang up almost simultaneously after a great influx of settlers rolled into north-central Kansas in 1870. The two towns were far enough apart to keep them from becoming jealous rivals. A Yuletide issue of the White Rock Independent in 1879 invited readers from White Rock to attend a Christmas Eve masquerade ball at Omio, and promised to keep an eye out for inebriated celebrants, who had spoiled some of the fun the previous year. Both towns had been organized with high hopes. Various railway companies made overtures about laying tracks to White Rock in the early 1870’s, when it was the most prosperous trade center in Republic County. A few years later someone discovered a vein of coal at Omio, a prize which local residents hoped would also attract the interest of a railroad. The quality of the coal mined at Omio turned out to be disappointing, companies were reluctant to build a costly bridge across the Republican River to White Rock without taxpayer support, and residents were loath to give it. By 1880 White Rock and Omio had just about reached their zenith. 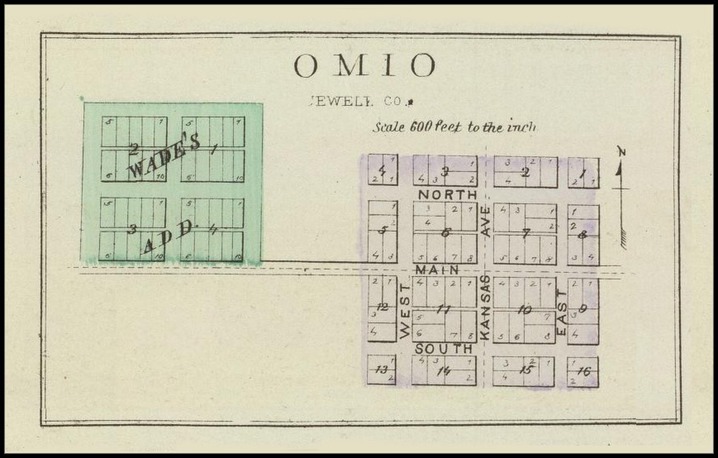 In 1879 both towns had begun to turn out a newspaper, the Independent at White Rock, the Jewell County Journal at Omio. Neither enterprise would last long, although publishers would try the experiment twice more at Omio, in 1882 and 1884. By 1887 both towns were about to be eclipsed by newcomers. The Atchison, Topeka & Santa Fe Railway began surveying and grading in northern Jewell County, while the Chicago, Rock Island & Pacific crews came through the center. In return for a token payment, Thomas Lovewell offered the railroad a right-of-way which would form the nucleus for the village of Lovewell. Seven miles to the south, Omio resident Capt. Alfred B. Balch urged some of friends to form a town company and lay out the streets of a new settlement called Formosa. After Thomas Lovewell moved his family to the site of his new town, a number of White Rock merchants and residents followed him. The same thing happened at Omio, where rock buildings and frame houses were dismantled to be hauled to the streets of Formosa. A $100 cash prize and a free building lot were offered to the first business willing to relocate. 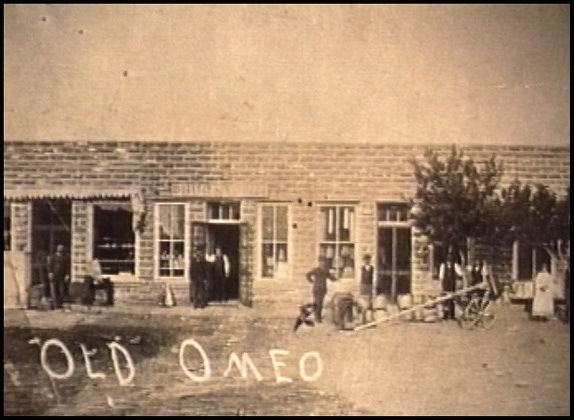 Much of White Rock and Omio had been constructed out of the very same building material taken from the same place, limestone blocks from the range of hills which lay west of White Rock and north of Omio. The towns that replaced them, Lovewell and Formosa (The latter name was quickly changed to “Formoso" when it was misspelled on the depot sign), quickly grew into thriving trade centers, thanks to the railroads that served them. The trains followed this schedule: Eastbound – express 9:14 a.m., express 11:04 p.m., local freight 10:26 a.m., through freight 9:13 a.m.; Westbound – mail and express 5:00 p.m., express 5:22 a.m., local freight 1:47 p.m., through freight 9:42 a.m. The Post Office was open on Sundays as well as weekdays. Hours of operation Monday through Saturday were 9 a.m. to 8 p.m., and on Sunday from 8 a.m. to 10 a.m. and from 7 p.m. to 8 p.m.